WASHINGTON — President-elect Donald Trump says Rudy Giuliani is taking himself out of consideration for a position in his administration. 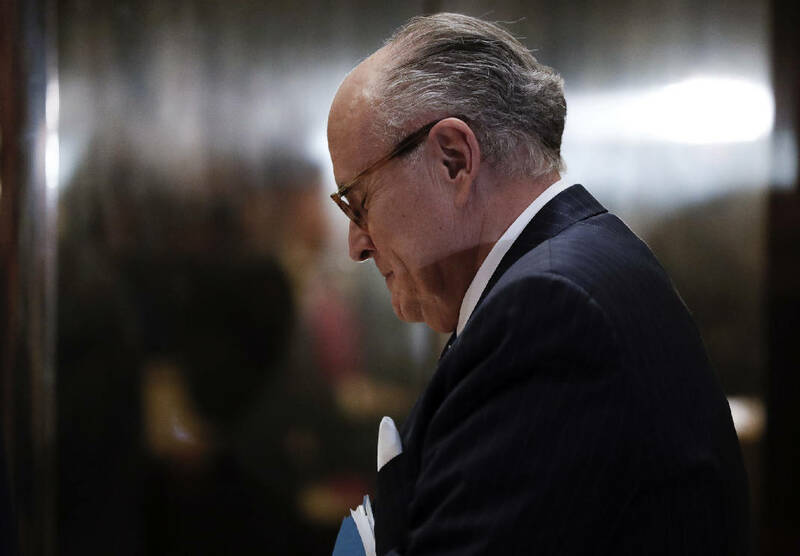 Giuliani, a loyal Trump supporter throughout the campaign, was an early front-runner to be secretary of state. But he faced questions about his overseas business ties and Trump began looking at other candidates, including Mitt Romney. In a statement, Trump says Giuliani would have been an "outstanding" Cabinet secretary in several roles. He says he respects the former New York City mayor's decision to remain in the private sector. Reince Priebus, Trump's incoming White House chief of staff, says Giuliani was vetted by the transition team for possible conflicts and "passed with flying colors." Trump is yet to announce his pick to lead the State Department.